The best online stores for scoring cute, affordable eyewear. Ordering a pair of glasses online isn't a foolhardy move. Our four-eyed staffers tested the latest sites and found six that deliver the perfect pair on the cheap. See for yourself! Nab Rx glasses for as little as $7. "I've always wanted an extra pair but wouldn't pay hundreds for it," our tester said. Eyeglasses No. 677525, $30 (with single-vision prescription lenses); zennioptical.com. Your specs clash with your outfit? Frameri pairs come with poppable lenses; you can snap 'em into other frames! Tidal Drebbel, $200 (with single-vision prescription lenses); frameri.com. Believe the hype: They offer quality specs in hot styles, "like geek-chic," a tester said. Try on five pairs for free at home before you buy. Duval, $95 (with single-vision prescription lenses); warbyparker.com. What a combo: tons of frames and prices that are just as advertised. "I can't tell them apart from my old $400 glasses," a tester raved. Upload your photo for virtual try-ons. Warhol, $49 (with single-vision prescription lenses); 39dollarglasses.com. Crave name-brand frames, like Kate Spade? This is your hub. If you'd prefer a total deal, Coastal has a $49 frame collection. Joseph Marc 4031, $88 (with single-vision prescription lenses); coastal.com. 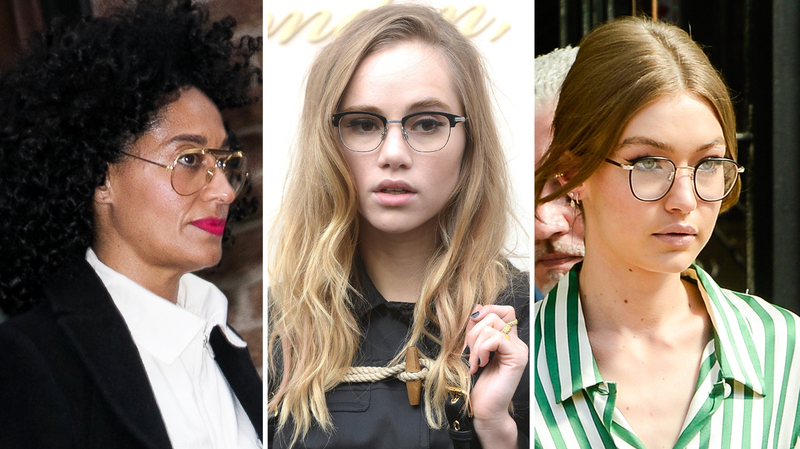 All frames are retro-inspiredthink Diane Keaton in Annie Hallso liking horn-rimmed glasses is almost a must," a tester noted. The free home try-on kit comes with five pairs. Warwick, $89 (with single-vision prescription lenses); classicspecs.com.